Call of Duty returns to its roots, to an unprecedented scale to tell the classic story of the tremendous battle of the two armies. In Call of Duty: Infinite Warfare awaits realistic war drama in the fantastic scenery - in the future, where the conflict between the people went far beyond the planet. Subject campaign, the multiplayer competitive and addictive zombie mode - Call of Duty: Infinite Warfare offers fans everything that they expect from the new issue of Call of Duty. The competitive multiplayer mode, Call of Duty: Infinite Warfare every second counts, because it may depend on the outcome of the battle. Breathtaking landscapes of other planets, futuristic weapons, new characters, and the ability to change the key gameplay - all this makes the multiplayer Call of Duty: Infinite Warfare quite unique. In addition, Call of Duty: Infinite Warfare offers the famous zombie mode for passing a joint. Gather your friends and go to a new adventure is not for the faint of heart! 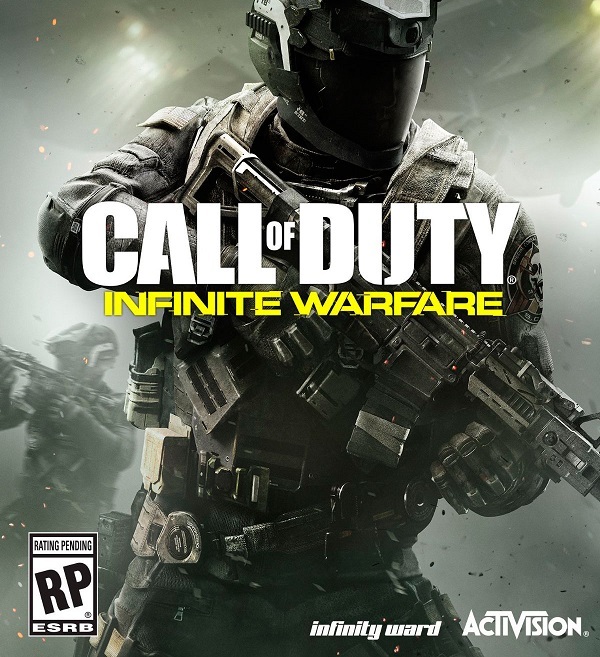 - Return to war Call of Duty: Infinite Warfare calls in an unforgettable adventure. You have to go to war, which appeared beyond Earth and become a hero of the battle of unprecedented scale. You are waiting for memorable characters, grand extraterrestrial landscapes and grandiose events that will not leave anyone indifferent. - Subject campaign, which will be remembered Subject campaign - the heart and soul Call of Duty: Infinite Warfare. In the best tradition of the series of disparate fragments and film chronicles it develops a realistic portrait of a brutal war. Studio Infinity Ward sets new standards, trusting players to control a battleship. In the role of the first pilot Reyes you become a captain of one of Earth´s last military courts and in the most desperate moment of the war lead the coalition forces in the battle that has gripped the entire solar system. - Incredible Multiplayer Progressive movement system has become even better, and the card worked skillfully designed in detail so as to fully disclose all of its features and raise the multiplayer to new heights. With many new features online game will allow participants to creatively approach to the achievement of the objectives, relying entirely on their own unique style of play. - Desperate battle with the undead in the famous zombie mode for passing a joint offers a new adventure and brand-new terrifying story that will long be remembered and will bring a lot of impressions.